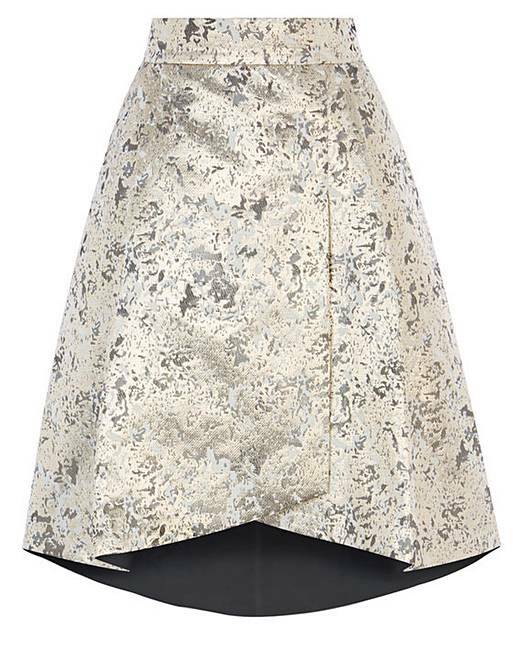 A show stopping jacquard skirt by Coast with a beautifully structured shape, perfect for a day to night look. The structured Prinsloo Jacquard Skirt features a textured jacquard print and a statement A-line silhouette that creates modern appeal and is finished with a subtle high low hem. To the complete the look, team with Carmela Lace Trim Top for a chic look.